It could be the greatest speech of all time. 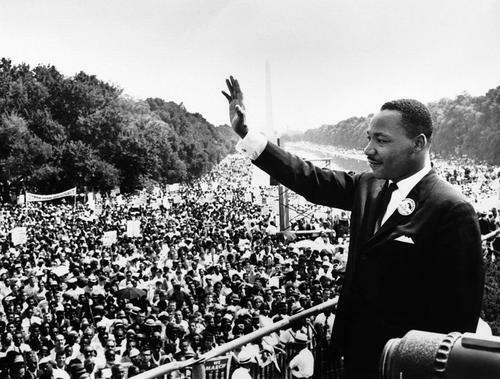 Today marks the 50th Anniversary of Martin Luther King Jr’s “I Have A Dream” speech – truly a perfect oration if there ever was one – delivered on the National Mall as part of the “March for Jobs and Freedom” Rally in 1963. This was a turbulent time in America. And this was a dangerous speech to have delivered. King does it not only with style, but with a linguistic grace that few have ever been able to replicate. When I listen to King’s words, I am in awe – not just for what he says – but in the knowledge that he sat down and wrote this out, crafting messages and phrases that would resonate long after his untimely assassination and continue to inspire people whose parents had yet to be born. I talk a lot about great writing on this blog, and how important it is to be able to coalesce ideas into language that moves people to action and fundamentally changes the way people see an issue. It’s too easy to just watch the 15 second clip of the end of this speech that every news program is going to play tonight. Watch the whole thing through. Thank you Jody – Wow is right! Thanks Steve! Appreciate you commenting.